How optimistic are you about facing life? Most of us live ordinary lives. Without the strong sense of purpose and dream. Despite having dreams, we neither pursue nor fulfill it earnestly. As a result, in the middle of the road, we revise our dreams. However, we actually have sufficient resources to achieve the dreams, for instance opportunities to study in reputable universities, enjoy financial support from our parents, taking advantages of friends network, etc. Even though we may have limitations, we have healthy bodies at least as the most valuable asset for dreams achievement. Imagine living with physical disability. Then challenges of making your dreams come true will be ever harder. Never mind your dreams, you might even be a pessimist in life, lamenting your physical limitations. But, this is absolutely not the case with Hendra Jatmika and Faisal Rusdi who live with physical limitations. They still persist in strong determination to turn their dreams into reality. Despite their limited sight, being the inability to see since childbirth. 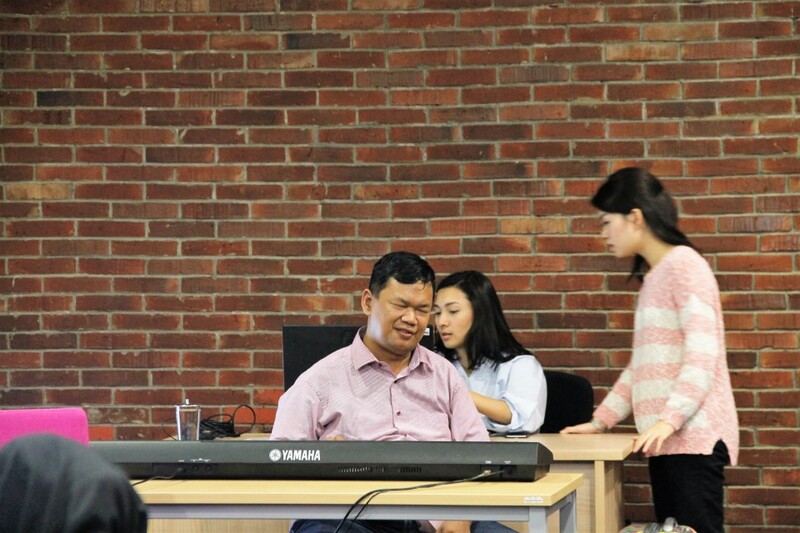 However, Hendra successfully becomes a musician and arranger. 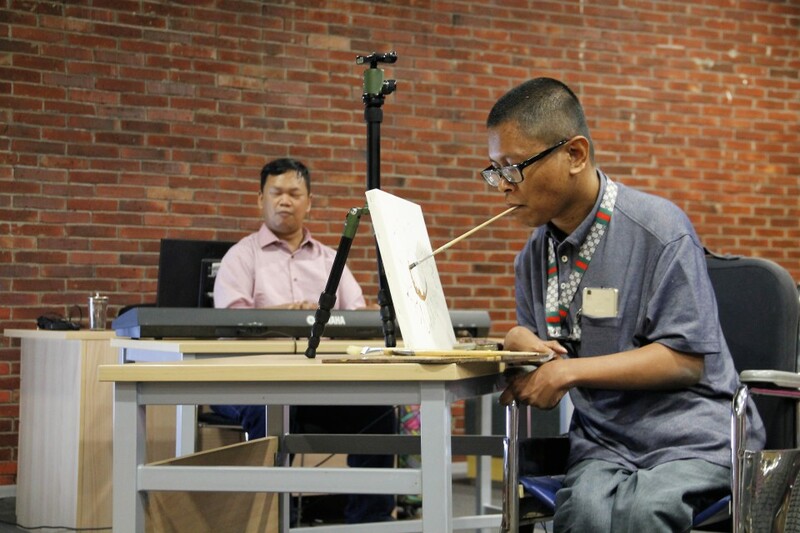 Meanwhile, Faisal Rusdi lives with cerebral palsy, but has the skill in painting with his mouth. Faisal Rusdi is a member of Association of Mouth and Foot Painting Artists (AMFPA), based in Switzerland, since 2003. 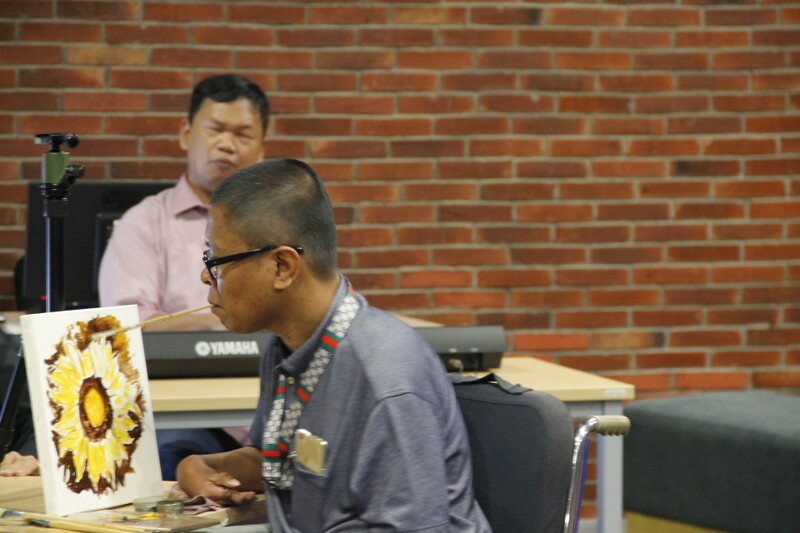 In Indonesia, until 2011, only 9 persons with disabilities entered the membership. Hendra, who studied music in IKIP Bandung (now UPI), has his own music studio, masters techniques of digital recording, and often composes commercial song arrangement projects, such as a radio advertisement jingle for a cigarette lighter brand and a promotional jingle song for a Bandung-based property land. Hendra also released an album with a band he initiated, called Mahaguru, and produced 3000 copies. Seeing optimism and the sense of achievement on Faisal and Hendra’s faces evoked emphaty. In the face of their physical limitations, they keep the courage to dream and live passionate lives. Even by the activities they love, they do not only survive, but also receive recognition from outside world. This optimism was born from their family’s support since the beginning. “”When I was a boy, my family, especially my mother, treated me the same as other children. 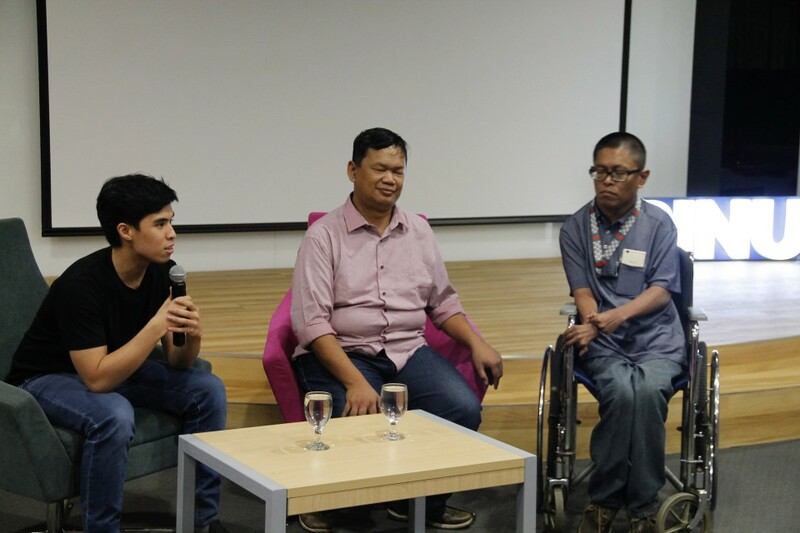 I can interact, play, and learn in the same school with friends who do not have disabilities,” revealed Hendra at Tech Media Talk held in FX Binus Campus, on Tuesday (8/3), entitled “Ability”. It is the same with Faisal. “They (parents) told me to think, decide, have desire, and also trust myself. Now I can live by myself because my parents believed that one day, I would be able to change from being disabled into being capable and independet,” Faisal carried on. Specifically, Faisal mentioned that his father is his hero. “My father brought and lifted me to a higher level. I owe everything to him, my confidence, my spirituality, and the journey to discover my talent. I hope I can be a hero to someone else as is my father to me,” said Faisal. 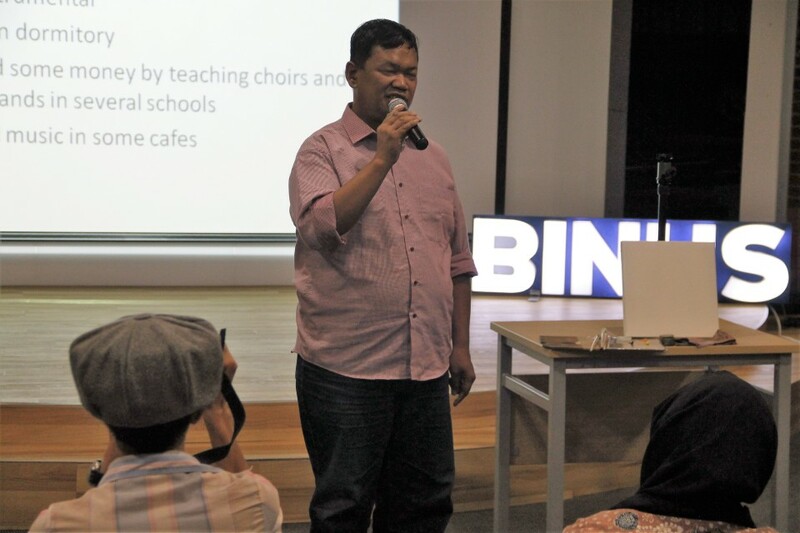 Hendra advised the younger generation that are all-sufficient to have desire and dream. We should live aroung an environment that supports us to achieve those purposes. “We can not achieve our goals if we live in the wrong environment,” asserted Hendra. He also emphasized that we need to stay optimistic, even when we face very difficult situations. 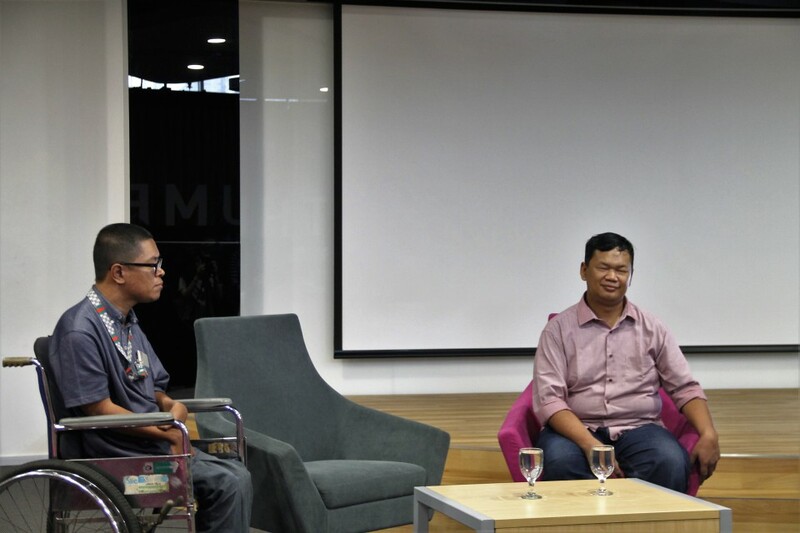 “We must keep up our spirit, because with spirit, effort, and prayer, I believe, all dreams and desires will come true,” concluded Hendra who wants to be appreciated for his ability, not for his disability.